The original Miami Tribe Casino was one of the early gaming facilities in the Miami area. 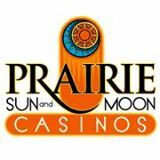 At the end of 2012 it was renamed Prairie Moon Casino. The Prairie Moon Casino is located in Miami, Oklahoma near the Will Rodgers Turnpike. It is one of two casinos owned by the Miami Nation. The other casino is Prairie Sun Casino which is also in Miami. You must be 18 years of age to enter the casino.